I studied illustration at The Art Center College of Design in Pasadena, California. Hired by Disney Feature Animation Department was a dream come true. It was good fortune to be mentored by some of Walt Disney’s Nine Old Men, including Eric Larson, Frank Thomas and Ollie Johnson. Working as a key assistant, then animator, I found my most cherished calling in the area of story development and as a storyboard artist. Using the power of images to shape the emotions of story telling has been the foundation of my film work. I worked nearly 20 years in the animation industry. Some of that time was spent working abroad. 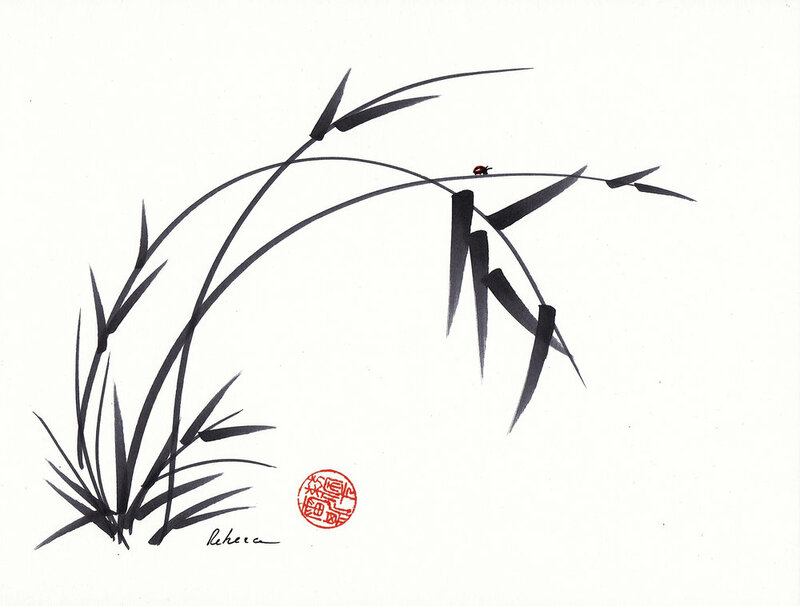 I feel that my personal artwork was influenced by my time living and working in Taiwan where I discovered the beauty of Asian brush painting. The simplicity, grace and uncluttered art form of sumi-e stayed with me even when I returned home. Storyboards for Animated Feature with Lili and Richard Zanuck Executive Producers. Animator for award winning Live Action/Animation Combo Short. Animator on the groundbreaking Live Action/Animation Combo Theatrical Feature. Animator for Special Effects sequences on Live Action/Animation Combo Feature.